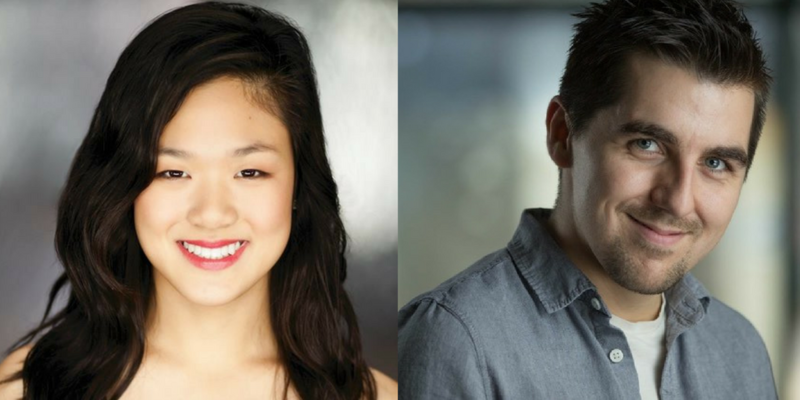 Our #MixedMessages college tour just wrapped up and we had a chance to catch up with two of our cast members, Sherman Tsang and Tony Babcock about this summer’s show. 1) Both of you have worked with Mixed Company Theatre in some capacity before; on our school tours. How has this round of Mixed Messages been different from previous rounds? TB: The great thing about revisiting this show and any role is that it forces you to dig even deeper into the character and into the world. With a production that has such tough themes, it can be very hard to go deeper into the work but very rewarding for the audience. The biggest difference this time around for me was approaching the character from a slightly different angle. 2) What was the most memorable moment of this tour so far? ST: The most memorable moment was probably when we engaged in the forum part of the tour, and seeing youth have so much knowledge about the subject matter. It really gives me hope for the future generations who are not only wanting to learn but are willing to share that knowledge so that others may grow and continue in life respecting each other and keeping the line of communication open. 3) Was there anything that happened in the facilitation this summer that you didn’t expect? TB: I can’t stop thinking about a particular intervention that involved a student brilliantly using a tactic that I had never seen before. In order to stop the dating violence, he asked to borrow the oppressor’s one condom for himself. It definitely stopped me in my tracks. 4) What was a fear you had going into this tour, did that fear get realized? If so how did you deal with it? ST: I’ve never done forum theatre before, so of course when Simon asked me to take on the role of Teesha, I was excited but mostly scared. I was never great at improvising, so forum seemed even scarier. The fear eventually subsided as we kept doing forum in real time. I was able to listen more to what was being given and was able to think critically while the conversations were happening – “This would work, but what is harder?” It was just a combination of letting the fear go, knowing that my scene partners, Tony and Nicole had my back. 5) If you could do anything to improve Mixed Messages going forward, what type of suggestions would you offer to next year’s cast/creative team? ST: I would suggest to alter the script to fit more modern slang and conversations. 6) What’s next for the three of you after the summer, are there any project you have coming up for the Fall? TB: I currently have a series called “In Real Life” that is airing on Bell Fibe TV 1, other than working on that, I will also be shooting a new web series and teaching classes at my downtown studio. ST: I just recently have been casted in Paradise Comics with the Filament Incubator. I’m very excited to start rehearsals.